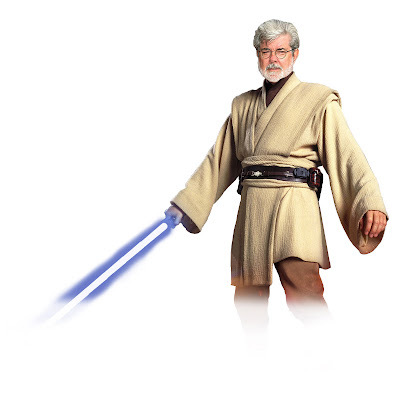 George Walton Lucas Jr. was born. A near-death car crash right before his high school graduation forced him to consider another career path(he wanted to be a race car driver) and made him focus on something different at the local community college. He developed an interest in making films... Modern cinema would never be the same. Happy Birthday to the original Jedi Master. Happy birthday you old coot, and thanks for trying to reinvision my childhood! Bah!